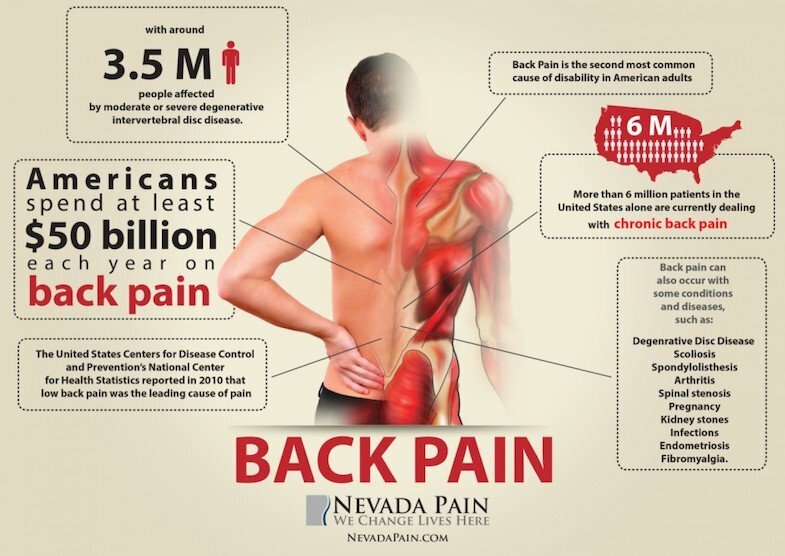 The following chronic pain statistics are taken from the American Academy of Pain Medicine, National Institutes and Health, American Chiropractic Association, and American Society of Addiction Medicine. They represent our fact sheet on chronic pain and cover chronic pain statistics in the U.S. 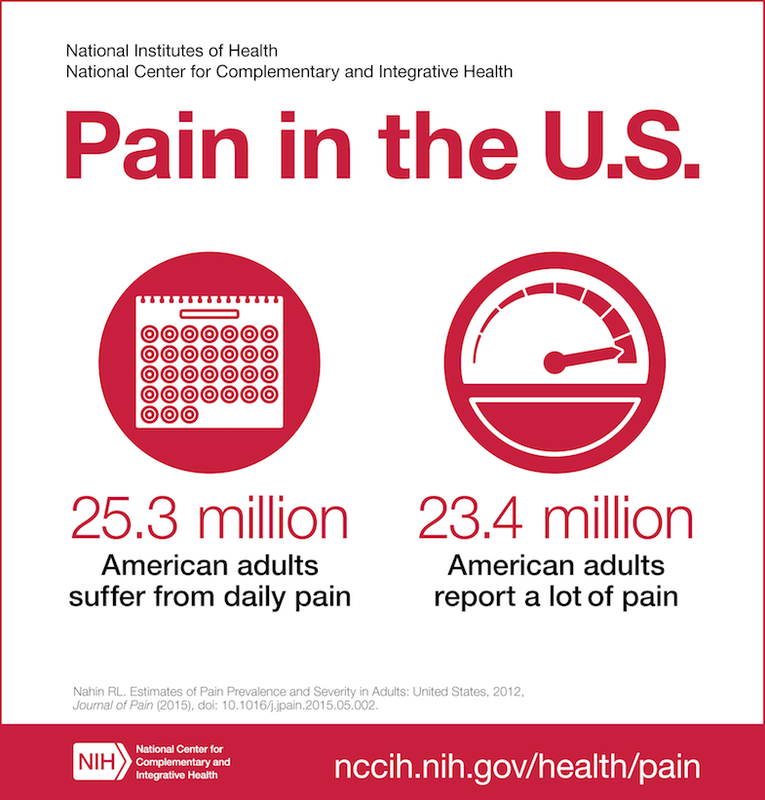 Chronic pain statistics in the U.S. Pain is a significant public health problem that costs society at least $560-$635 billion annually, an amount equal to about $2,000.00 for everyone living in the U.S. Prescription pain pills should never be the front-line treatment for chronic pain. By their very nature, they can help with acute cases of pain–like a fracture or post-surgery. But, they don’t work for many patients on a long-term basis. And since these medications often don’t work and can lead to issues of abuse and misuse, we recommend that many patients don’t start with these. Instead, at PainDoctor.com we encourage patients to incorporate lifestyle changes, minimally-invasive procedures, and complementary therapies into their pain management routine before using opioids for pain relief. For those patients who have exhausted all other options and may benefit from opioids, we have a 12-Step Opioid Checklist to ensure patient safety. There is always exciting research happening in the study of pain. Researchers are hard at work finding the most innovative ways to prevent, manage, and treat chronic pain conditions. You can keep up all of the latest chronic pain news and research in the Research section of our blog. What other chronic pain statistics are you interested in learning about? To find help with your chronic pain condition, click the button below to find a PainDoctor.com-certified pain specialist. They can help you find the help you need to relieve your pain and get back to your life.